The contemporary interior design style and the color match the ECOWORKS brand image. 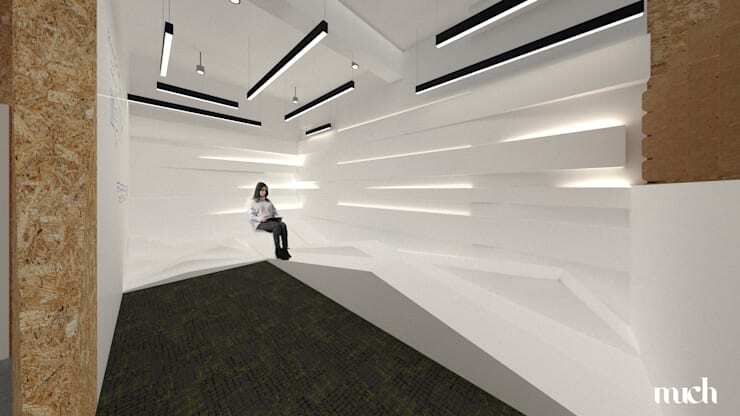 The workplace design concept uses recyclable material for the interior environment decoration mainly. 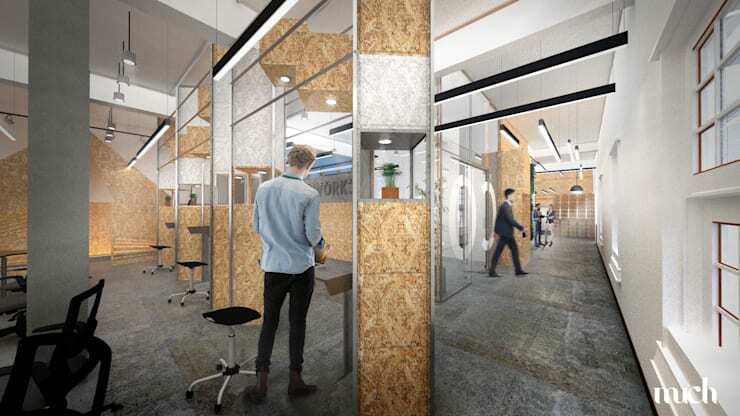 Such as Recycled wood, MDF, Recycling carpet tile, Aluminium, Concrete, Glass and Linen Fabric. 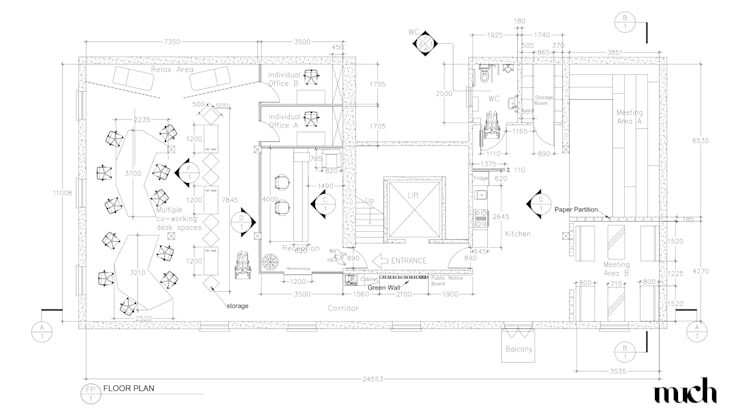 Use the open planning concept of the working spaces. Create a large public planning space. It is suitable for the co-working. 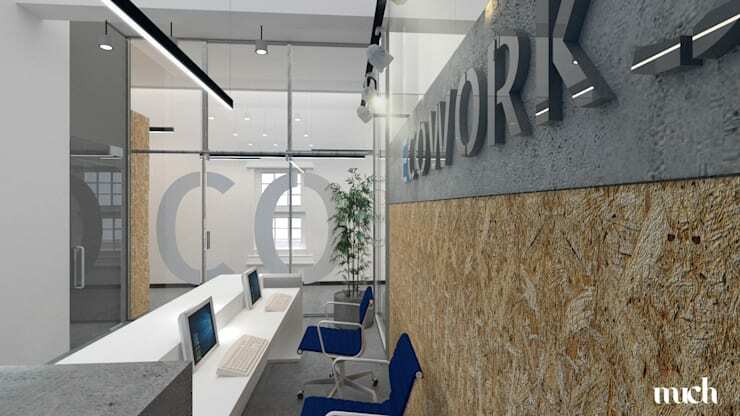 To fulfil the ECOWORKS brand are Contemporary and unique co-working spaces philosophy. 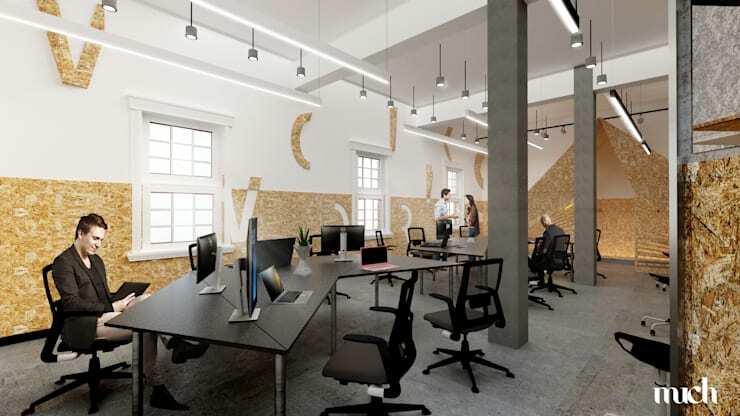 The reception area makes a welcome atmosphere for tenants to come to working spaces to enjoy theirs working. In addition, the area welcomes the tenant's client. ECOWORKS tenant can be using the ENTRANCE A2 in and out. 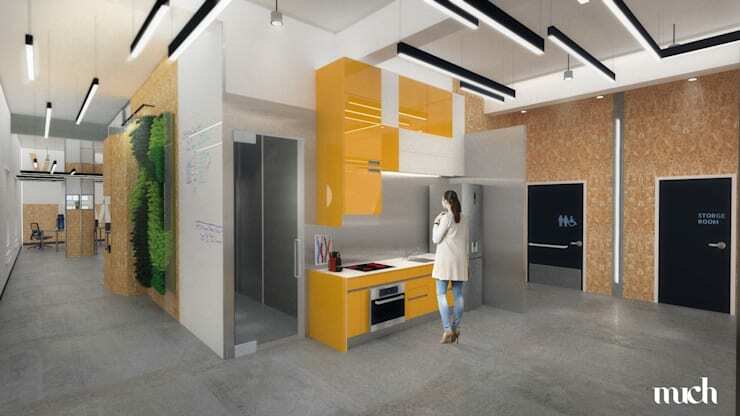 The combination of the tower storage and hot desk make a partition function that divided the multiple co-working desks spaces area and corridor. 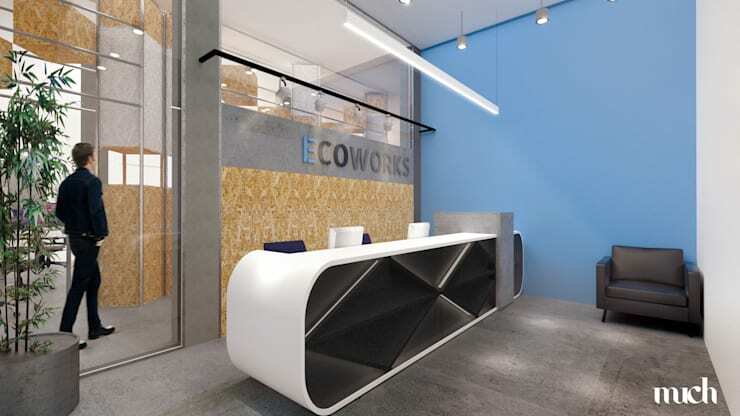 ECOWORKS provide healthy and harmonious workplace environments that respond to flexible and mobile working. The wide corridor spaces, especially for the tenants able to do some walking exercise.